The Wensleydale Creamery, the famous Yorkshire Dales cheese-maker, is celebrating after another successful year at The Great Yorkshire Show. The Creamery continued their winning streak, with a grand total of 22 awards in the Cheese & Dairy Show. Handcrafted cheeses, butter and yogurt from The Wensleydale Creamery’s portfolio secured top spot across various categories, including GOLD for Yorkshire Wensleydale, Yorkshire Butter, Yorkshire Yogurt, Traditional Double Gloucester, Naturally Smoked Cheddar and its newly launched Blue 16 cheese. The Wensleydale Creamery beat a competitive field of dairy producers to secure Reserve Supreme Champion cheese, Best Territorial/Regional cheese, Best Yogurt, Best Yorkshire Product and the prestigious Wensleydale Cup for the Best Wensleydale cheese. In the Wensleydale class, which included Wensleydale cheese entries from around the UK, The Creamery’s Yorkshire Wensleydale took Gold, Silver & Bronze. With six GOLD, four SILVER and seven BRONZE medals, plus four trophies, The Wensleydale Creamery shone out in a Cheese & Dairy Show that attracted a record number of 867 entries, from across the UK and abroad. 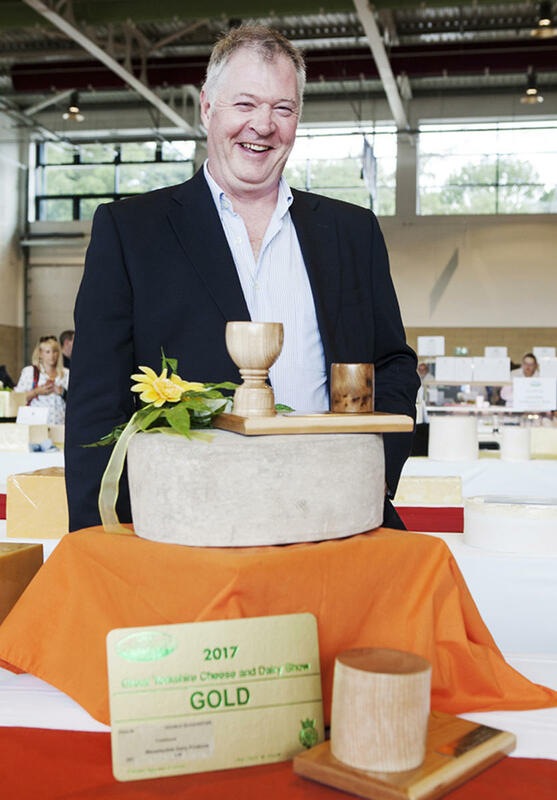 David Hartley, Managing Director at The Wensleydale Creamery, said: “We’re thrilled with this year’s results, particularly being awarded four of the ‘Best in Category’ trophies, plus Reserve Supreme Champion Cheese. “We’re proud of our Yorkshire heritage and provenance, and it’s fantastic to see the quality of our products being recognised with these awards. They are a true testament to the skill of our team of dedicated cheese-makers, and the milk sourced from over 40 local farms”. Congratulations. It is no wonder when our family come up from the south they go back with a good supply of cheese from the Creamery. Congratulations! Well deserved. We always visit the Creamery on our annual break in The Dales and go home loaded up with lots of lovely cheese and butter. Not surprised you won so many awards the products produced at hawes are always of the highest quality. Well done, Yorkshire Creamery! Richly deserved success. You have come a long way. Could you please advise if you sell the Ampleforth Abbey ale and cider at the creamery. Hi, yes we do carry a range of Ampleforth products.